Apple and Microsoft are going at it once again. Historically, both giants have been going head to head in creating personal computers, operating systems, smart phones, and tablet computers. This time, the battle will be fought in the form of an accessory: the humble stylus. Ever since the announcement of the iPad Pro, there’s one accessory which stood out: the Apple Pencil. This accessory, the first Apple stylus (it’s still one even if Apple refuses to call it) since the Newton Messagepad in the 1980s, looks promising. Judging from the preview videos and hands-on tests, this new Apple product is well-made. However, there’s an old kid on the block: Microsoft’s Surface Pen which is a companion to Microsoft’s Surface 3 tablets. 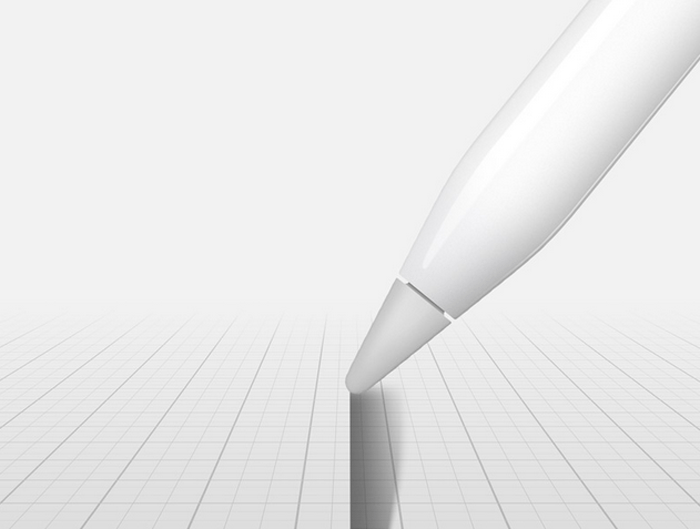 With this, new questions are spawned: how does Apple Pencil match up against the Surface Pen? The Apple Pencil costs $99, which is quite expensive considering that it’s only a companion accessory. It is sold separately from the iPad Pro, which means you’ll need to pay extra to avail it. Well hey, Apple is known for putting a premium price on their products. Meanwhile the Surface Pen costs half the Apple Pencil’s price: it can be bought for $49.99. Microsoft has already listed the Surface Pen’s full list of features and capabilities, while Apple Pencil’s product description is comparatively vague. When drawing or writing notes, it felt like “ink” is flowing from the tip of the both styluses. There is zero latency between the motion and the appearance of the “ink”. Both are pressure sensitive – creating darker shades and lines the harder you press them on the screen. The Surface Pen has 256 levels of pressure sensitivity. Apple undoubtedly has it, but it as not released an exact number of how much pressure it can read. Both utilize palm blocking technology. Basically, this allows you to rest your hand on the tablet while drawing without having to worry about smudges or ruining your notes and drawings. The iPad Pro can tell the difference between the tip of the Apple Pencil from your fingers. Though both are a lot alike, there is one glaring feature absent from the Surface Pen which is on the Apple Pencil: tilt detection. Imagine using a real-life pencil to shade a sketch – you have to hold the pencil at an angle. You can do this with an Apple Pencil, but not with a Surface Pen. Meanwhile, the Surface Pen has nifty buttons (Apple Pencil has none), Erase, Right Click button, and the top one which is specially-made for Microsoft OneNote. Apple Pencil is poised to work on most built-in iPad Pro apps and Apple has opened up to developers, allowing them to create apps which support the stylus. The accessory works well with Notes and Mail. Third party apps, like Paper by FiftyThree and ironically, Microsoft Office 365, uses the Apple Pencil as well. After the iPad Pro’s release, it would not be far fetched to see hundreds of apps supporting the Pencil. The Surface Pen’s main partner is OneNote: press the button on top of it and the Surface Pro tablet will open the application and let you create a new note even if it’s asleep or on standby mode. A second press will close OneNote. Pressing the button twice in quick succession, like a double click, will take a screenshot of whatever’s on the screen. The Surface Pen is also compatible with Fresh Paint and Drawboard. Both styli can use Adobe’s Creative Cloud applications like Photoshop and Illustrator. The Surface Pro uses an external AAAA battery to power it. The battery life is dependent on the brand you are using, so you’re better off picking trusted ones especially if you’re going to sketch or write for prolonged periods. The Apple Pencil has an advantage in this category. If you remove the cap, you will find a Lightning port on it, which is used for charging. You’re supposed to insert this on your iPad Pro’s own port – there’s no need for a charger or an external battery. Plus, it charges fairly quickly: Apple claims the Pencil only requires 15 seconds to give it 30 minutes worth of power. If fully-charged, it can give you 12-hours worth of scribbling, annotating, and drawing. Both styli connect to their respective tablet computers via Bluetooth. The exact weight and dimensions of the Apple Pencil is unknown, but it’s comparably longer compared to the Surface Pen due to its Lightning connector. 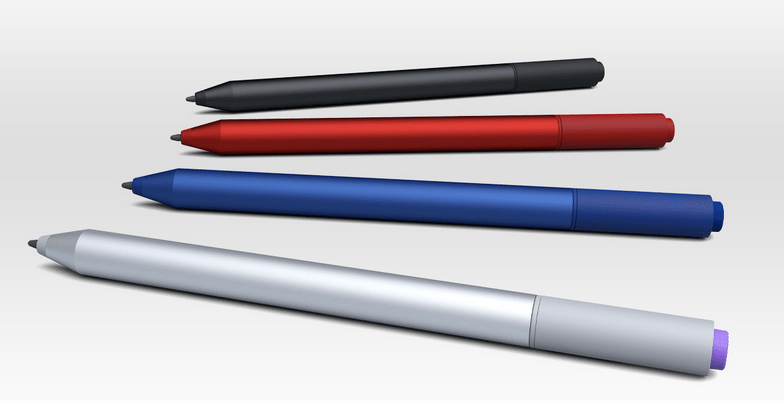 The Surface Pen is available in several color schemes: red, black, silver, and dark blue. Meanwhile, Apple Pencil is only available in white. Overall, you can easily put both styli on equal grounds. One lacks certain features and capabilities of the other. It could all boil down to personal preference.